The TigerChef Complete Burger Maker and Sausage Stuffer Supplies Set is an all-inclusive set that enables you to easily make burgers and stuff sausages for home or commercial use. 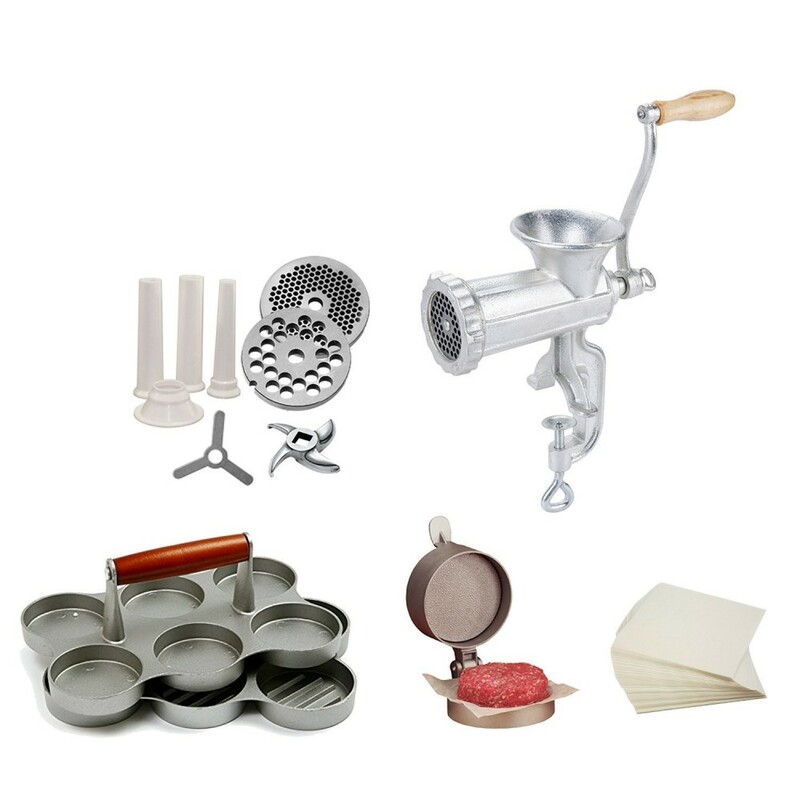 This complete set includes a deluxe #10 heavy duty manual meat grinder, two stainless steel grinding plates, a plastic flange, stuffing star and 3 stuffing funnels so you can safely and quickly grind meat and then form sausages or burgers. The manual grinder can be mounted on any countertop for easy accesssiblity. This complete set also includes a heavy duty aluminium hamburger press and a 6-slot mini burger press for forming perfectly shaped burgers, sliders, crab cakes and more. The burger press features a handy patty ejector that makes it easy to eject your perfect burgers without tearing or breaking. This complete set also includes 250 pieces of wax paper, which you can use to keep burgers separate as you prepare them or use in the press for quick clean-up.